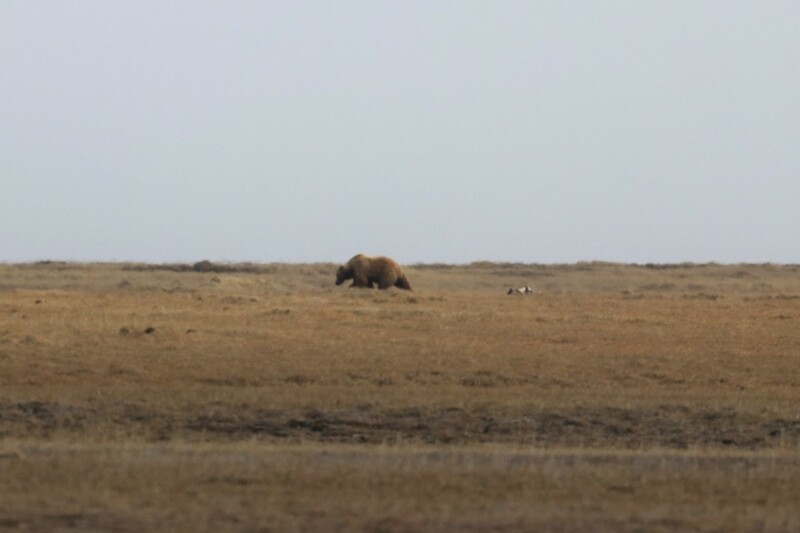 The base of their long, slender bills appeared even pinker in the soft orange light of sunset. A sun that set so late we were often still searching for shorebirds at half past nine at night. In the coastal wetlands of Chiloé Island Chile, we were sitting on a rocky beach at 41.9 degrees south, the latitude almost exactly inverse to Plymouth, Massachusetts. 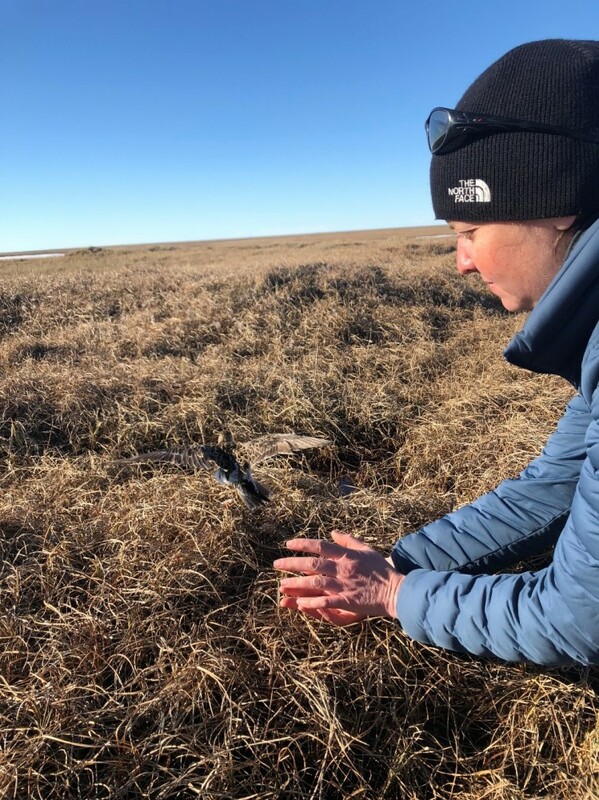 But while the shores of Cape Cod Bay were locked in ice, we were locked in wonder – watching in silence as a flock of Hudsonian Godwits gathered to roost for the night. This group of godwits breeds during the Boreal summer in Alaska, more than 10,000 miles to the north. 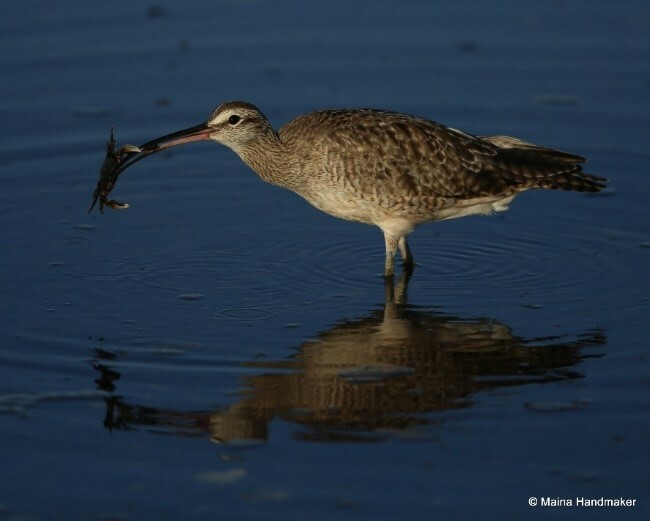 Chiloé Island is the nonbreeding destination for most of the Hudsonian Godwits wintering on the Pacific coast. 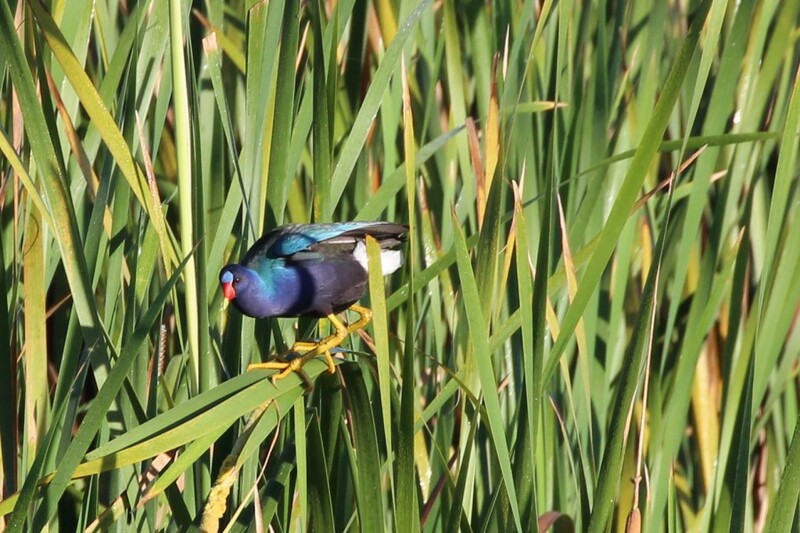 The cove where we watched these birds is part of The Eastern Wetlands of Chiloé, a site in the Western Hemisphere Shorebird Reserve Network that collectively protects almost 4,700 acres of crucial resting and feeding grounds for these epic travelers. 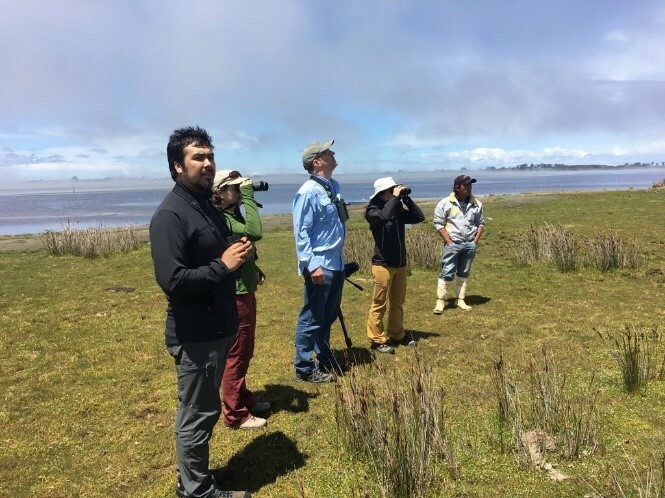 In January 2018, Manomet’s Habitat Management Division and WHSRN Executive Office staff traveled to Chile to teach two Shorebird Ecology, Conservation, and Management Workshops, one in Santiago and the other on Chiloé Island. 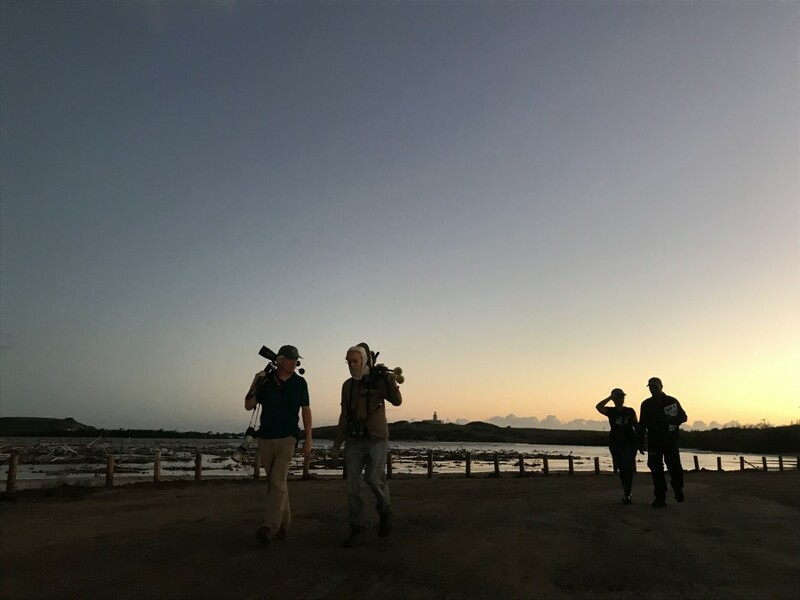 These first workshops of 2018 built on the successes of recent workshops in South America — in Bahía Samborombón and Bahía Blancain Argentina in 2017, and Lagoa do Peixe and Banco dos Cajuaisin Brazil in 2016. 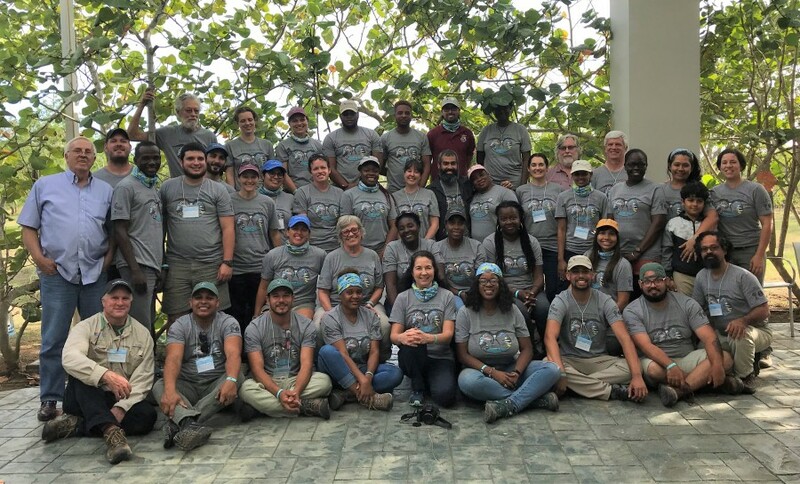 These workshops connect participants with a wide network of partners in shorebird conservation across the Americas, strengthening the local understanding of shorebird ecology, building conservation constituencies, and inspiring long-term efforts to implement beneficial management actions. The first workshop was in Chile’s capital city of Santiago. This workshop was hosted in collaboration with the University of Santo Tomas, and the Centro Bahía Lomas. 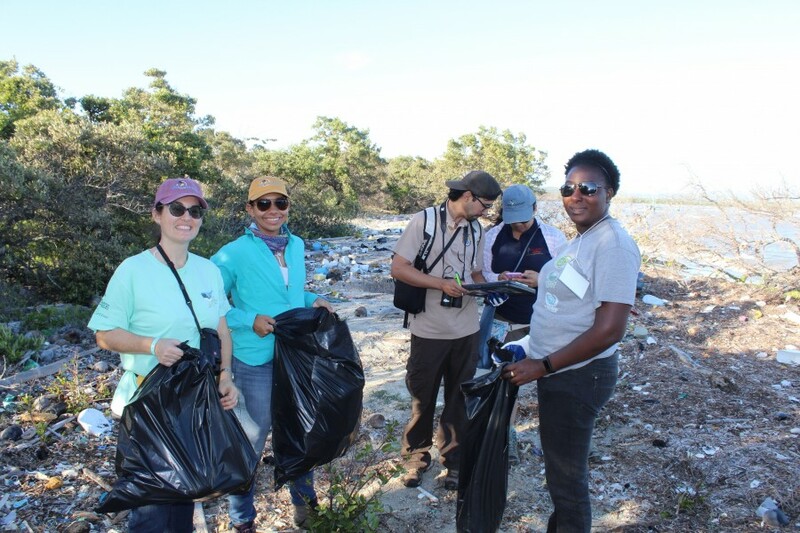 The 23 participants represented 15 different organizations, including the Ministry of the Environment and a variety of non-profit organizations. 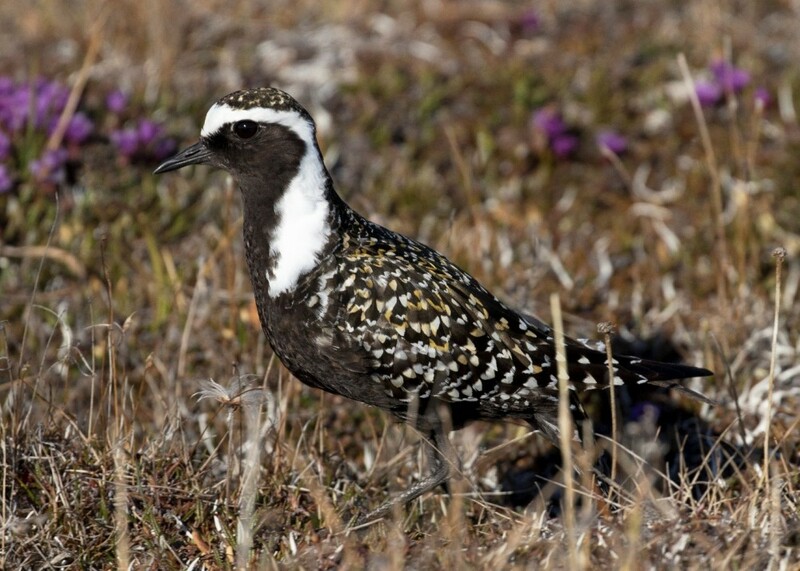 Together, the group influences or directly manages more than 1,000 acres of shorebird habitat. 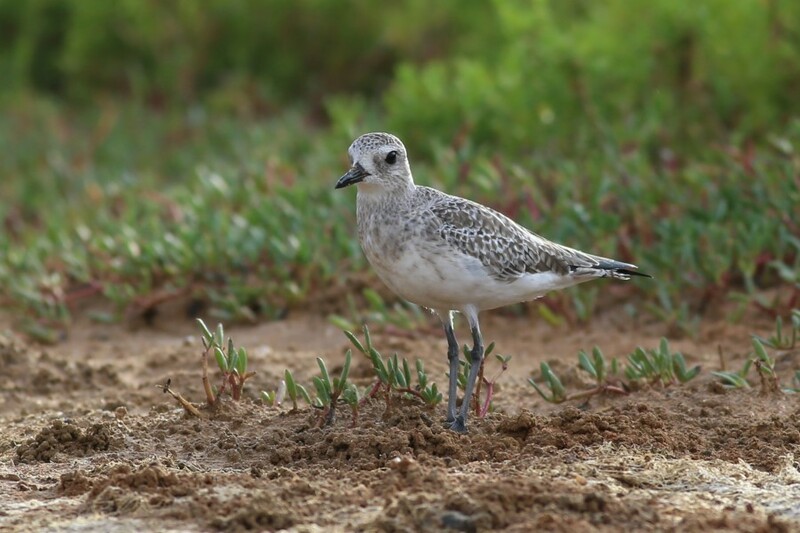 Manomet staff led sessions on shorebird identification, migration strategies, tracking technologies, population monitoring, and good governance practices. 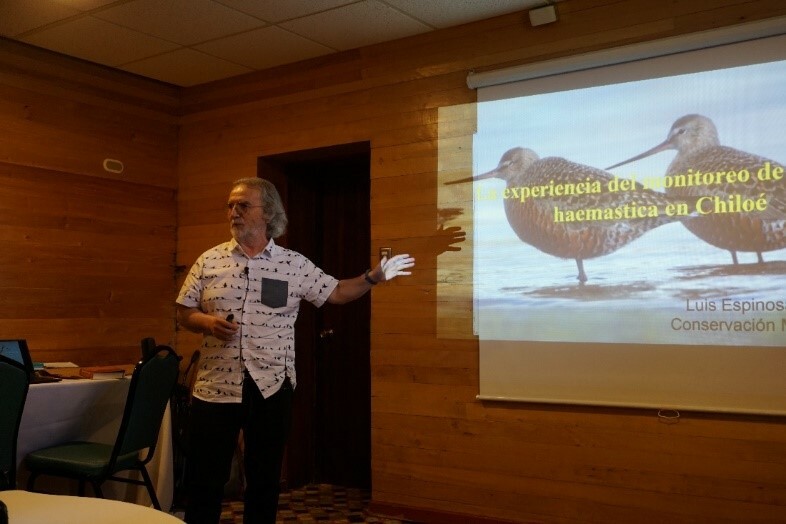 Local guest speakers presented on a range of projects, from a national citizen science effort that produced the Atlas to the Shorebirds of Chile, to long-term monitoring projects such as Carmen Espoz’s Red Knot research at the Bahía Lomas WHSRN site in Tierra del Fuego. 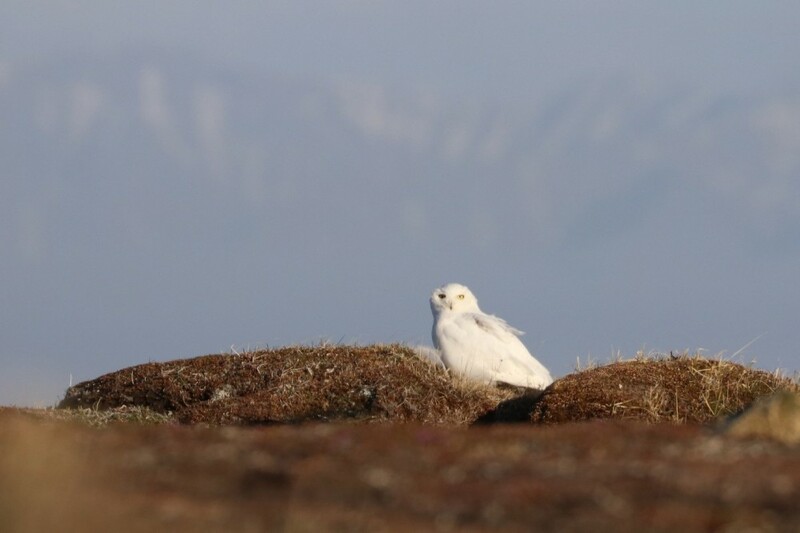 This site near Punta Arenas is the most critical wintering ground in South America for the endangered rufa subspecies of Red Knot. Sebastian Herzog, Chile Country Officer for National Audubon Society’s International Alliances Program, spoke about the impacts of climate change on bird populations, recognizing that the Pacific Americas Shorebird Conservation Strategy characterizes climate change as a “Very High” threat to shorebirds in Chile. 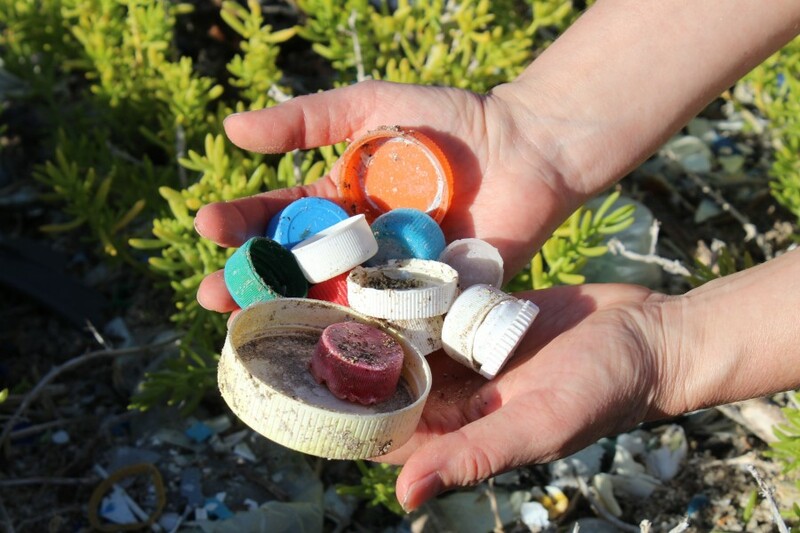 Participants identified the most pressing threats at their own sites, and divided into groups to develop strategies to address three widespread challenges: loose dogs, vehicle traffic on beaches, and pollution and contamination. The groups broke down these threats into specific objectives and concrete actions as they discussed information they needed to gather, partners and alliances they hoped to cultivate, and thought through tangible next steps to take. The energy and expertise exchanged during these group discussions was a highlight of the workshop. The Santiago workshop ended with a morning at the Estuary of the Maipo River WHSRN site just south of one of Chile’s busiest ports. 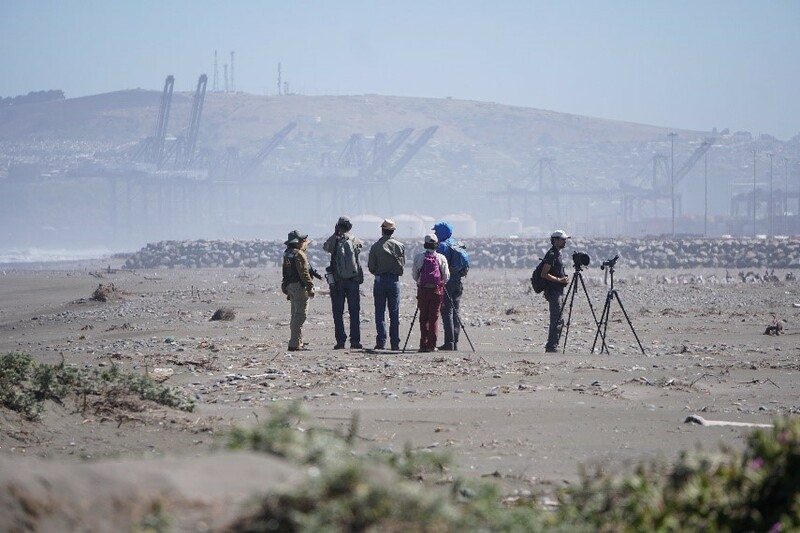 The group practiced identifying species and estimating flock sizes against a backdrop of industrial development, spotting Sanderlings, Black-necked Stilts, American Oystercatchers, Ruddy Turnstones, Whimbrel, and three species of Calidris sandpipers including a Chilean rarity, the Least Sandpiper. 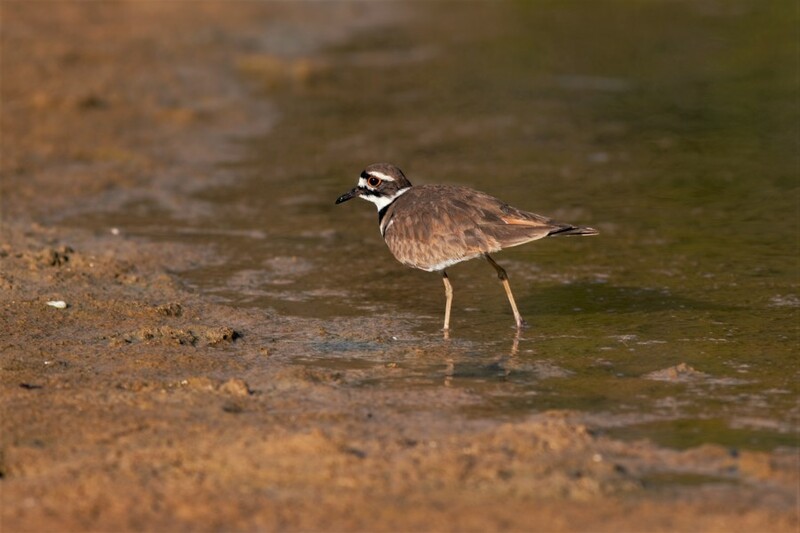 The site was a perfect example of many of the threats discussed in the workshop, but also proved that a protected urban wetland can create an oasis for migratory shorebirds. 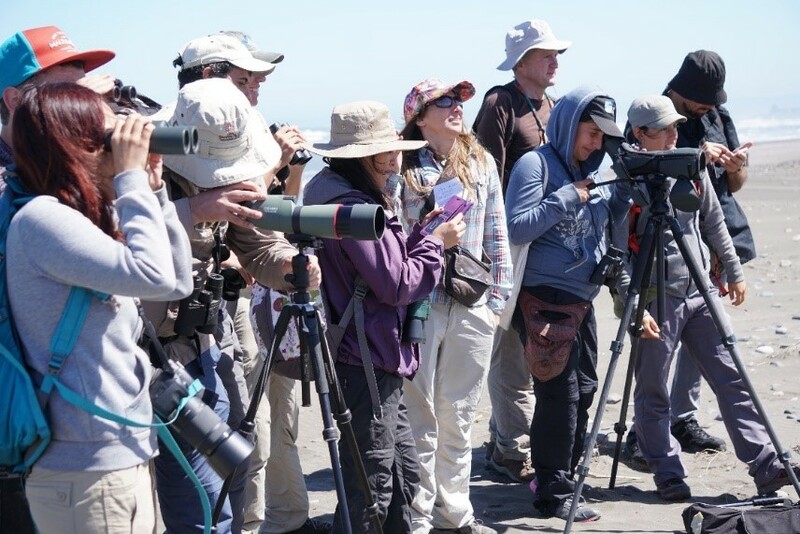 Santiago participants practice flock estimation and species identification with Monica Iglecia at the WHSRN site Desembocadura y Estuario de Rio Maipo. 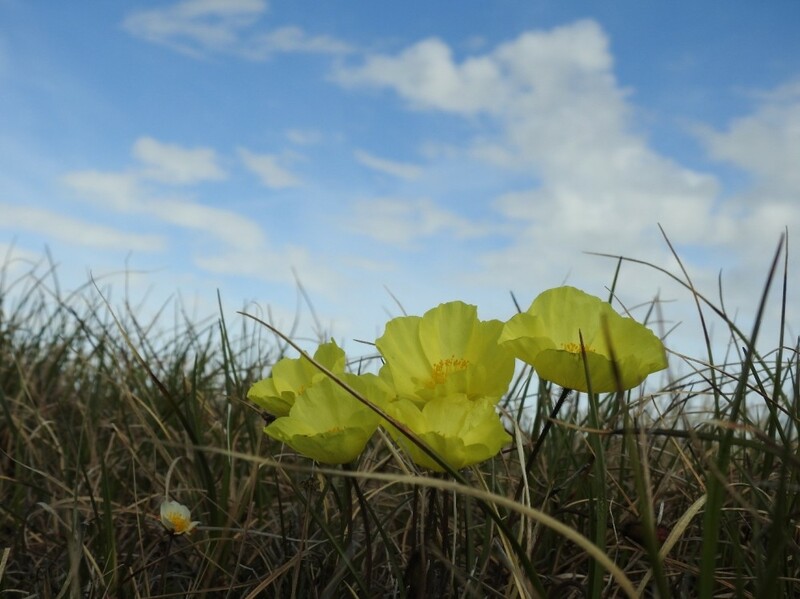 The second workshop was held 700 miles south in Ancud, on the northern coast of Chiloé Island. 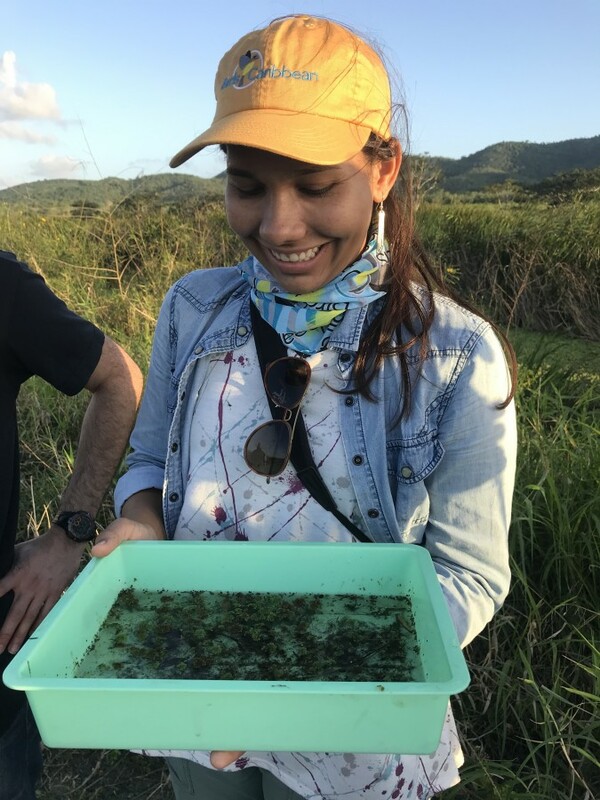 Before ferrying across the Chacao Channel to the island, we visited the Wetlands of Maullín WHSRN site with Claudio Delgado, the director of our local partner organization Conservación Marina. A pod of Peale’s Dolphins breached just off shore as we watched a group of Baird’s Sandpipers blend perfectly into the beach. 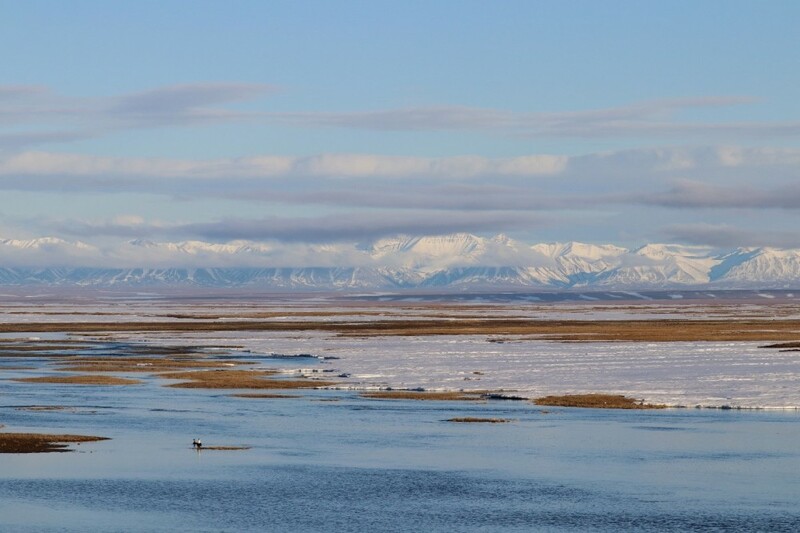 The tide climbed higher over the mudflats, and we watched hundreds of Whimbrel come in to roost as our small panga carried us back down the river. The 17 participants in the Chiloé workshop represented 11 different organizations. 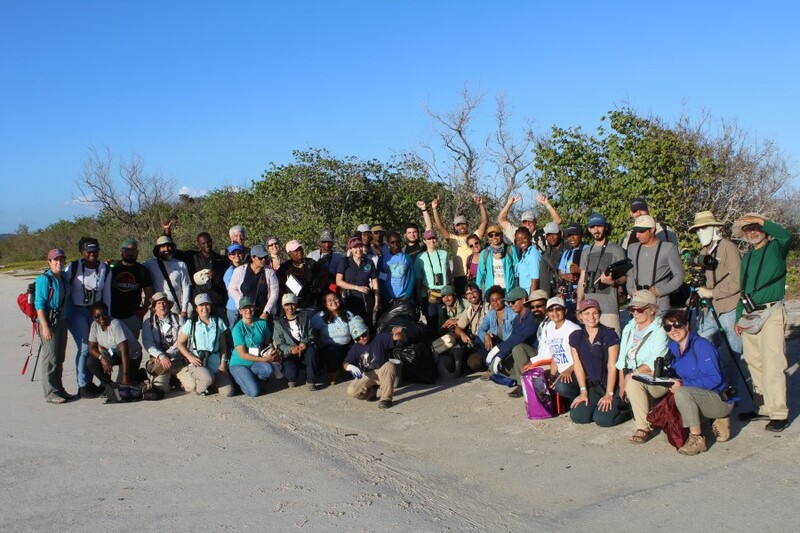 They were staff of local NGOs and provincial governments, municipal leaders, tourism authorities, biologists, and private landowners, together representing over 5,000 acres of shorebird habitat in the archipelago. 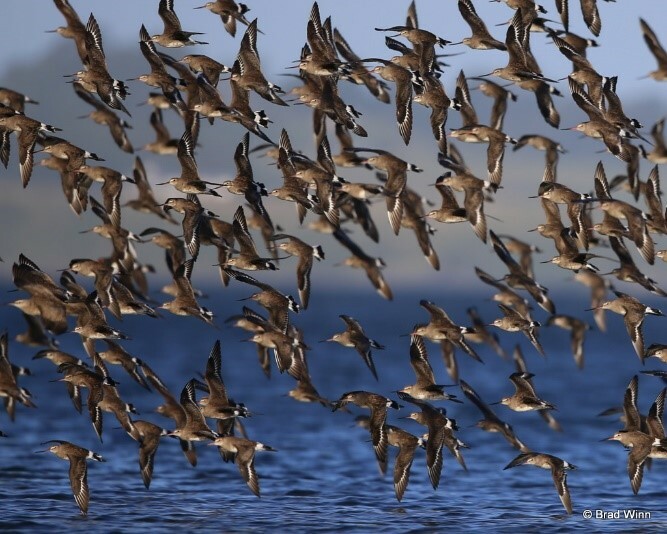 Luis Espinoza, a professor who has been studying Hudsonian Godwits on Chiloé for more than three decades, revealed results of his recent research. 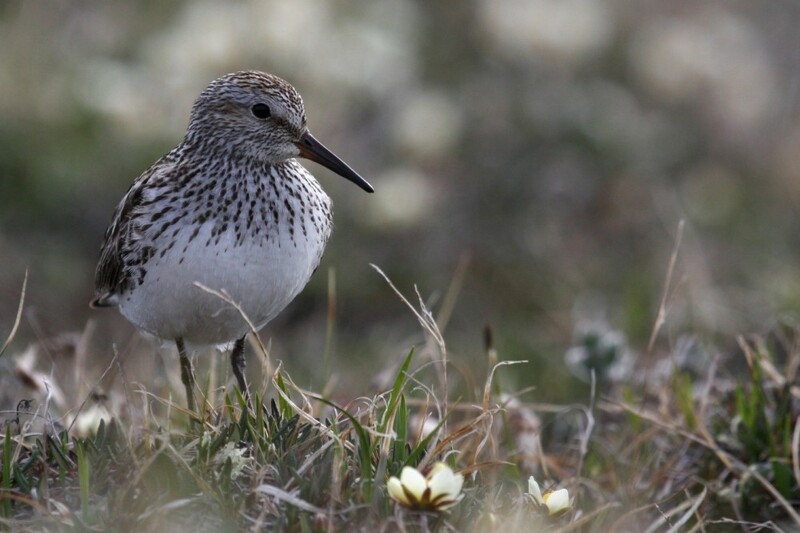 Espinoza presented maps of godwit satellite tracks – not only unveiling their migration routes and stopover sites between Chiloé and Alaska, but also their movements to find the most important foraging and roosting areas on the island. This data sharing motivated a workshop participant to explore the process of expanding the WHSRN site to include an additional important place identified by Espinoza’s research. 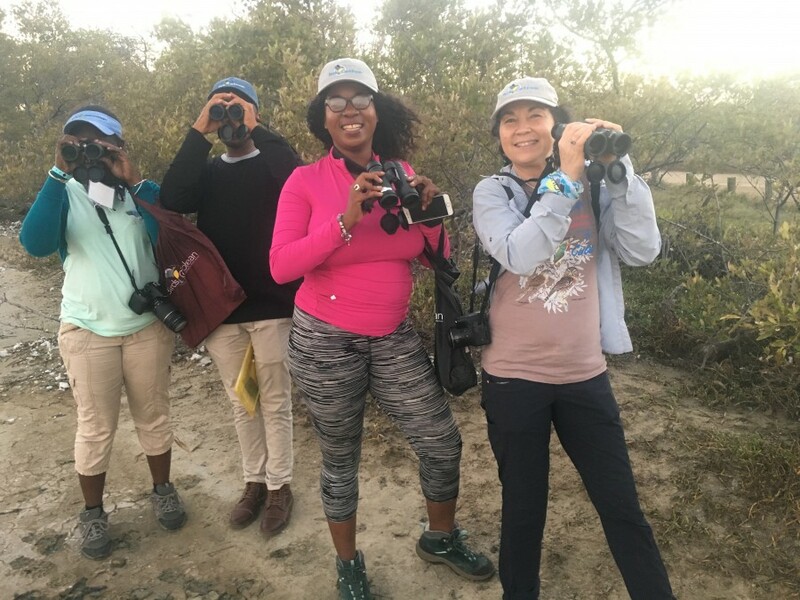 We were lucky to support several workshop participants at a shorebird festival after the workshop, in the town of Curaco de Vélez, one of the WHSRN subsites on the island of Quinchao. 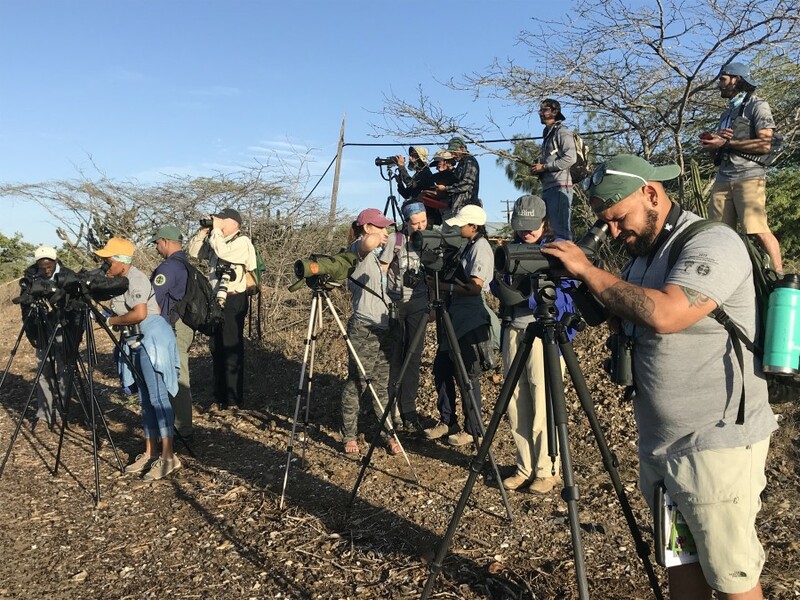 Claudio Delgado spoke about Conservación Marina’s efforts to protect habitat for shorebirds; Luis Espinoza led groups of all ages to watch shorebirds at the nearby WHSRN subsite, Chullec. Workshop participant Carolina Vidal, who works for the tourism department of Chiloé’s provincial government, spoke about the pride the community feels to be home to so many zarapitos (the Chilean common name for both Hudsonian Godwits and their curve-billed cousin, the Whimbrel) every austral summer. The celebration included musical performances, traditional crafts, and Chiloé’s famous seafood dish curanto. 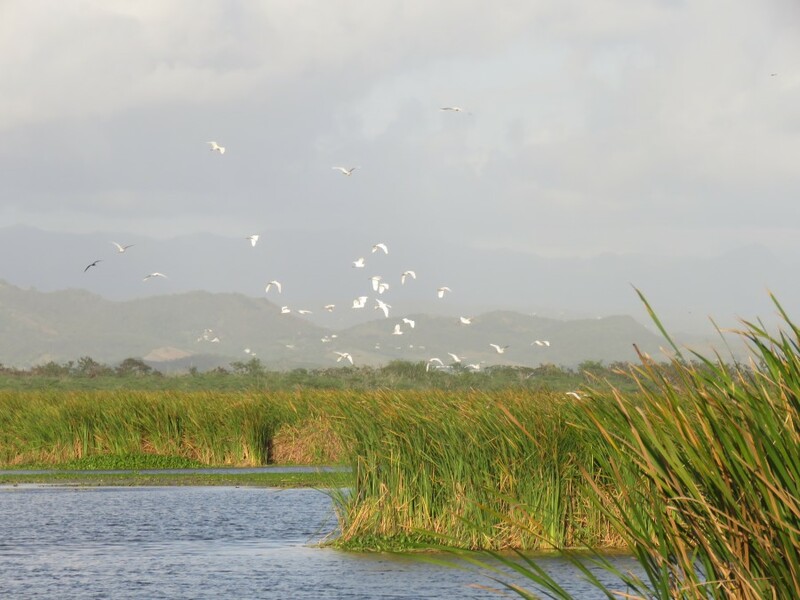 “In the immediate term, part of the lessons [from the workshop] will be integrated into a manual of best aquaculture practices that we’re developing to help mitigate its negative effect on habitat for Hudsonian Godwit in Curaco de Vélez, and also to build capacity with businesses that develop coastal infrastructure that can affect shorebirds. 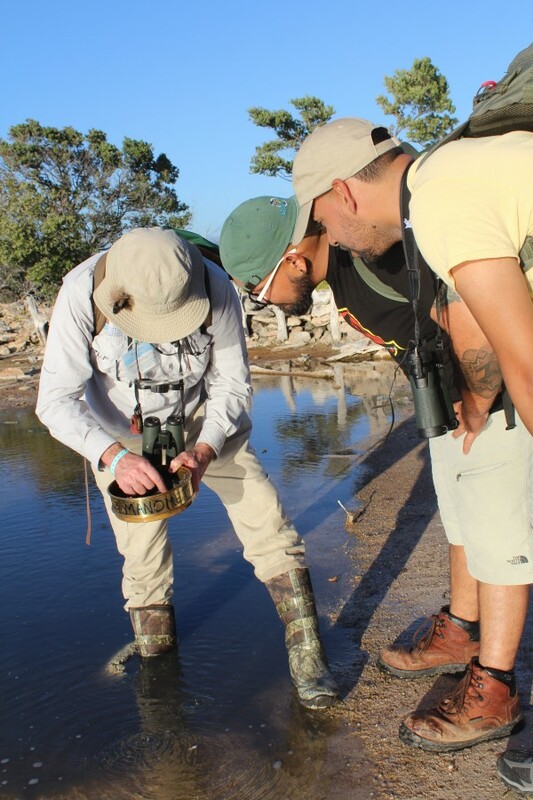 It’s important that this type of workshop connects partners of the Network, and includes neighbors and friends of the sites, because it increases understanding and discussion about the possibility of collaborative actions.” – Claudio Delgado, Director, Conservación Marina, seen here birding at the WHSRN site Maullín with Manomet staff. Photo: Brad Winn. 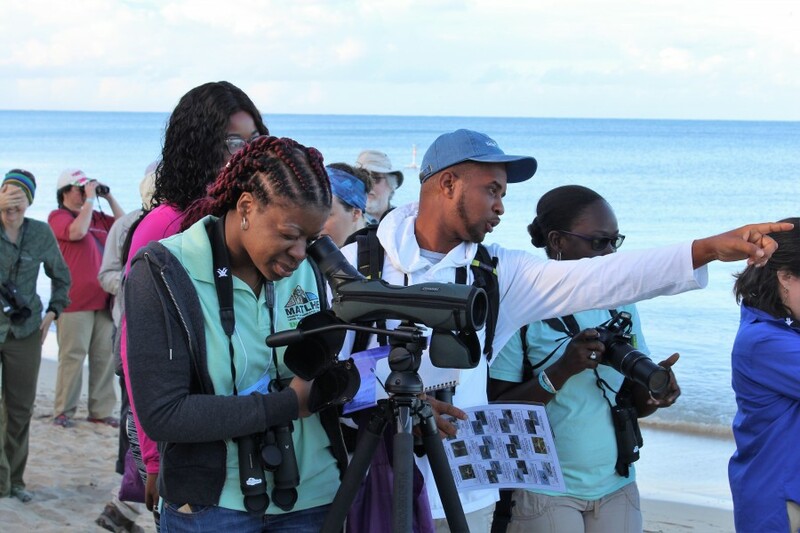 Since the workshop ended, we have continued to work with participants to share information and guidance to help them reach their shorebird conservation goals. 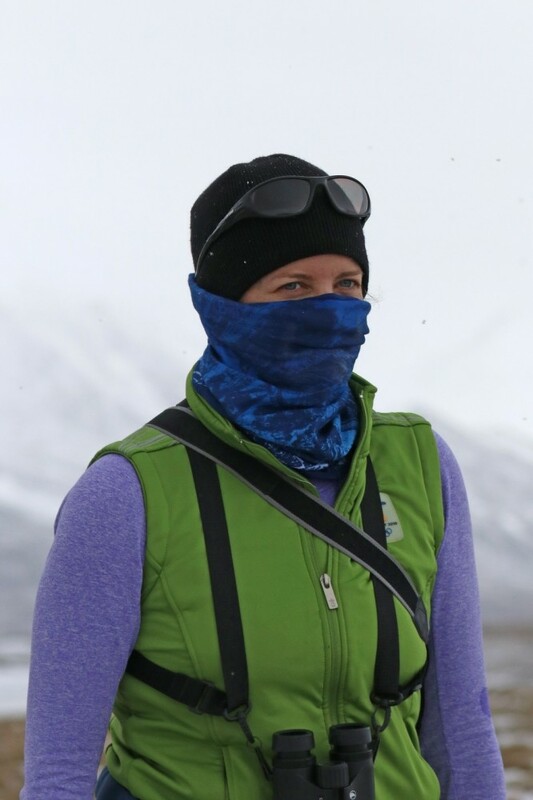 Sol Bustamante is in charge of the Lakes Region of Chile for the federal Ministry of the Environment. 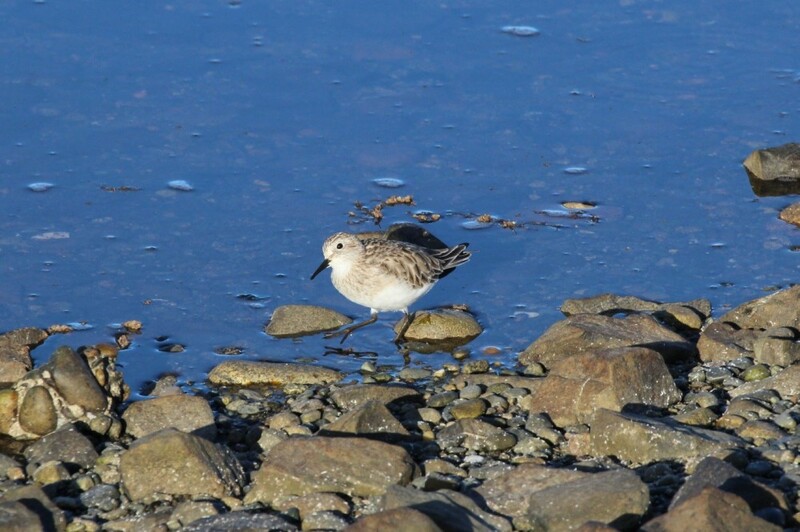 She wanted to showcase Chiloé’s shorebirds in educational initiatives, tourism materials, and in presentations to the provincial Wetlands Round Table, so we have shared photos of Hudsonian Godwits, Whimbrel, and resident species like the South American Snipe and Southern Lapwing for use in informational brochures. 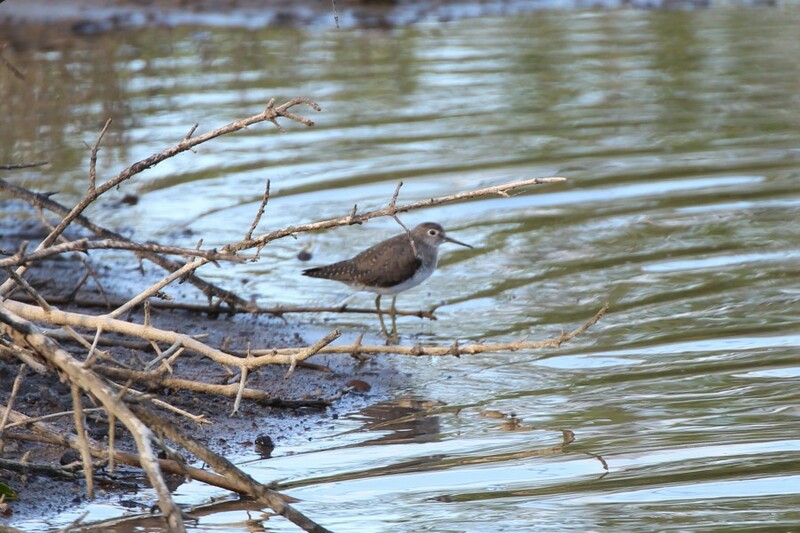 Maribel Díaz recently purchased a property on the shore of Pullao Bay, and recognized that thousands of shorebirds were roosting on the mudflats in front of her land. 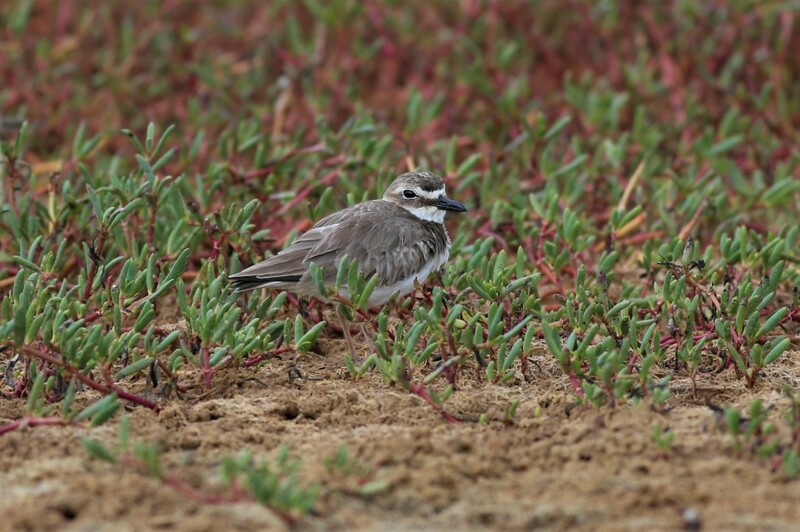 The Habitat Management team visited her after the workshop to discuss opportunities for managing her site for shorebirds. 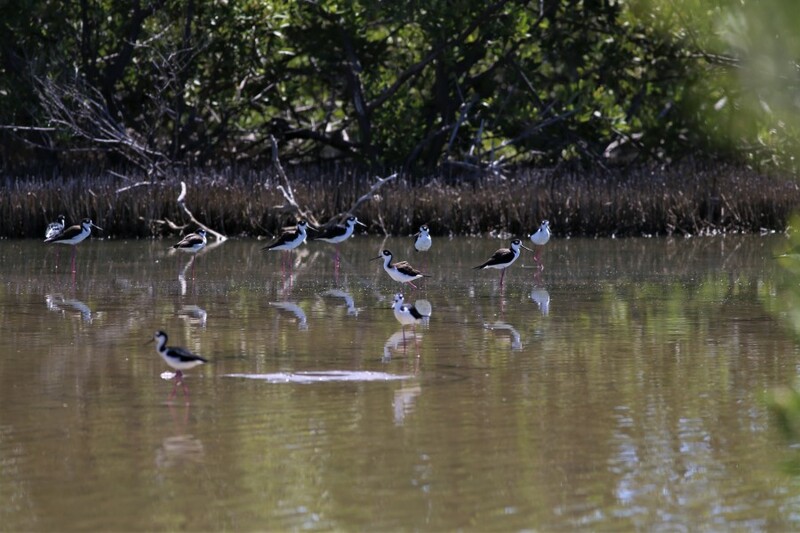 Adjacent to Maribel’s property is the main roosting site within Pullao Bay, an area recently purchased by Audubon that is owned and managed by our shared partner organization Centro de Estudio y Conservación del Patrimonio Natural. 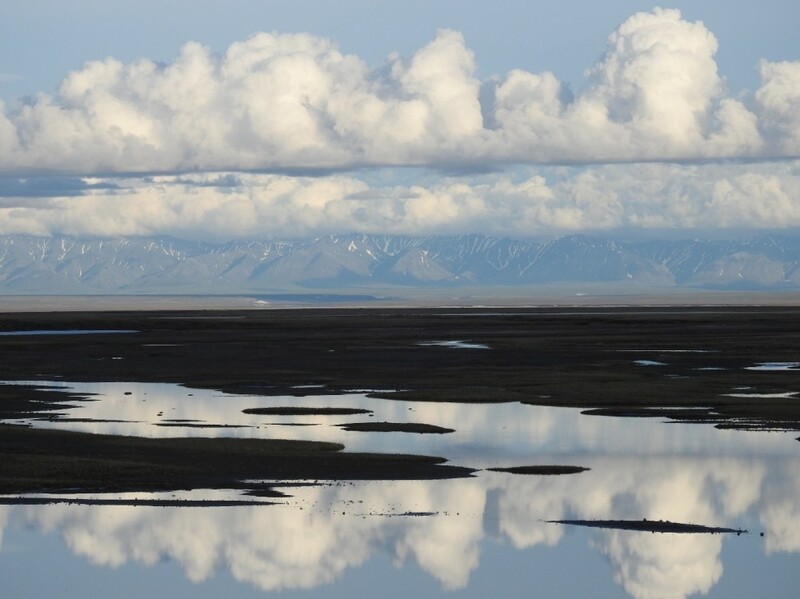 Around the cove from that property is Refugio Pullao, a six-room lodge working to connect guests with the marvel of migratory shorebirds – owned by Carlos Grimalt, another participant in the workshop. Pullao Bay is another one of the wetlands that makes up the WHSRN site on Chiloé. In our last days on the island, we watched with jaws-dropped as almost 10,000 Hudsonian Godwit gathered to roost on Pullao Bay at high tide. 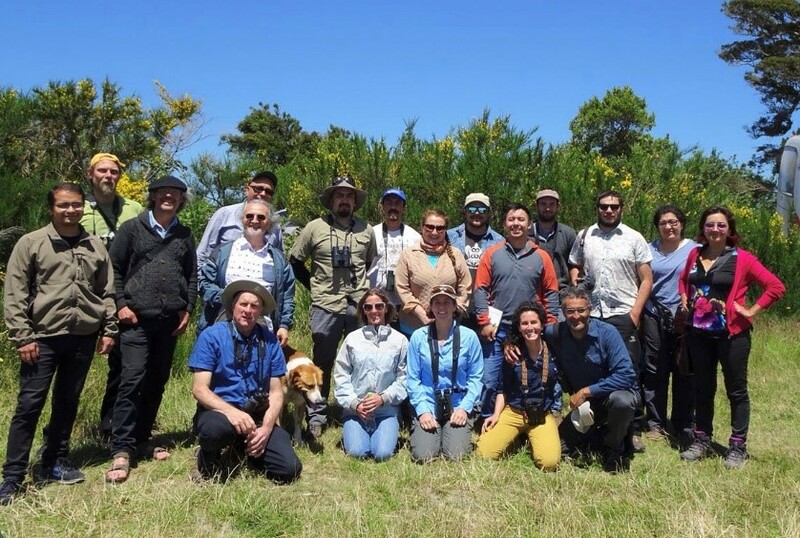 The Shorebird Ecology, Conservation, and Habitat Management Workshops in Chile made strides to strengthen partnerships and cultivate new connections, vital to keeping areas like Pullao Bay, Maullín, and the Estuary of the Maipo River protected for shorebirds. 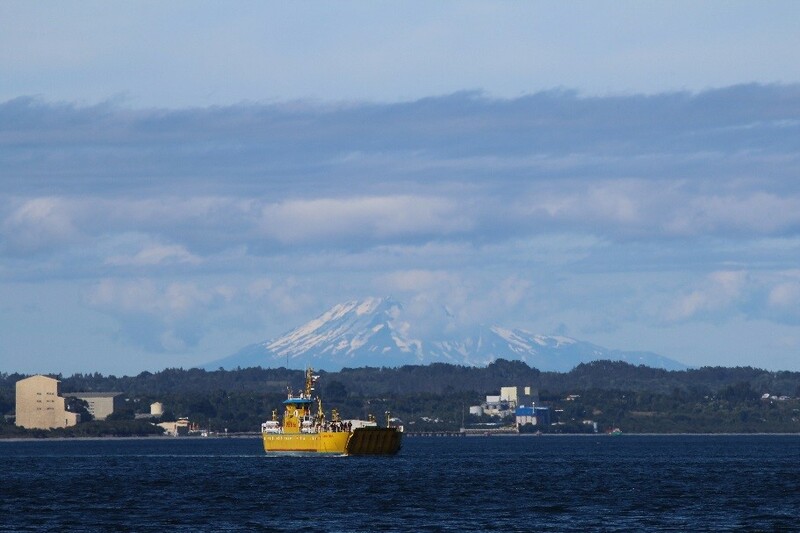 Planning has already begun for future workshops in southern Chile! Check out additional photos from our Chiloe and Santiago workshops on Manomet’s Facebook!